ILook Investigator © Forensic Software is available to computer forensic examiners. It is recommended that new ILook users attend a basic ILook class. No licensed and/or unlicensed users of the ILook Investigator © Forensic Software shall, without the express permission of the IRS Criminal Investigation Electronic Crimes Program, facilitate ILook training to persons that do not qualify for an ILook license. The IRS Criminal Investigation Electronic Crimes Program reserves the right to any ILook training material created for any formal or informal training forums. The mission of NW3C is to provide a nationwide support system for agencies involved in the prevention, investigation, and prosecution of economic and high-tech crimes and to support and partner with other appropriate entities in addressing homeland security initiatives, as they relate to economic and high-tech crimes. This 4 1/2 day course serves as an overview of the most used features of ILook Investigator. It includes the IXImager to create a duplicate image of the hard disk and the examination of several hard drive partitions. The multiple aspects of this GUI-based forensic suite are presented with emphasis on imaging and processing of seized media. The student will walk through a case from previewing to the final reports and will be able to effectively conduct salvage, file signature analysis, registry analysis, hash analysis, deconstruction, keyword searches and more, on seized evidence. It does not teach basic forensics, but rather how to use the tool to perform forensic examinations. Many of the built in automated short cuts will be presented, which will assist in better case preparation and analysis. It is expected that the students already know forensic processing issues. This course requires the applicant to have previous training in Cybercop 101 (BDRA) or the equivalent and students MUST belong to a law enforcement agency. 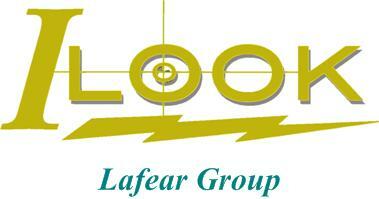 The LaFear Group, Inc offers computer forensics training using ILook. The LaFear Group also offers a Financial Investigative Techniques Seminar which offered in an interactive format aimed at familiarizing the audience with the techniques used to identify "fronts," identify deceptive practices, gain knowledge about the various sources of financial information, and gathering admissible eividence of crimes. Formal training using any part of the ILook Investigator © Forensic Software suite of tools may NOT be conducted without express conscent from the IRS-Criminal Investigation Division Electronic Crimes Program. If you or your agency would like to host ILook training please contact IRS-CI Electronic Crimes. We will also post the training class information (location, date, and contact information) on request.